RIDICULOUSLY CUTE: Seriously. 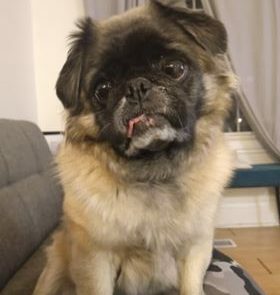 Have you ever met a Puginese? 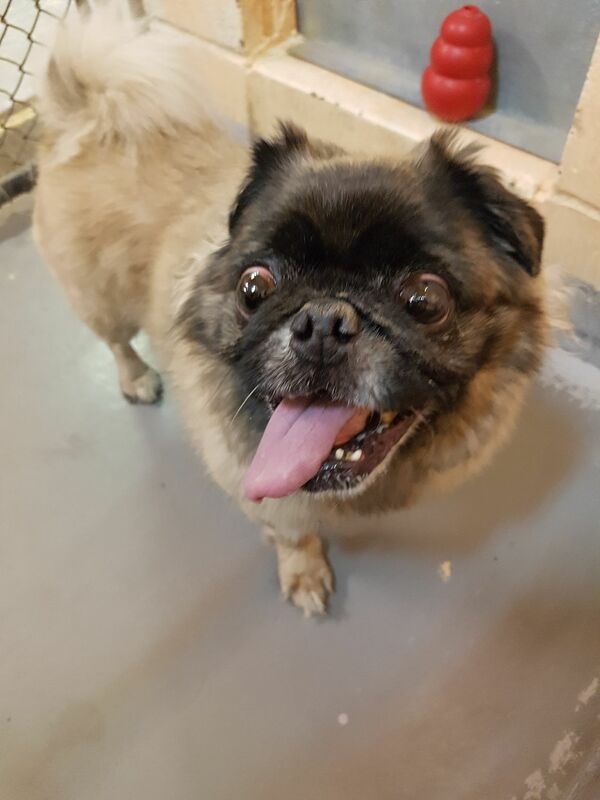 (Half Pug Half Pekingese) . Well you have now. Brace yourself. This level of cute will have you busting at the seams. 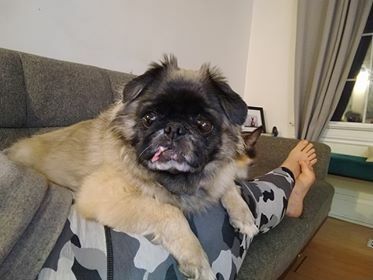 But Effie’s old life wasn’t always cute, she joined our care from a local rescue where thankfully she was finally surrendered. She was bred repeatedly, arrived smelling like cigarette smoke, and had pus oozing out of her mouth due to her countless rotting teeth. 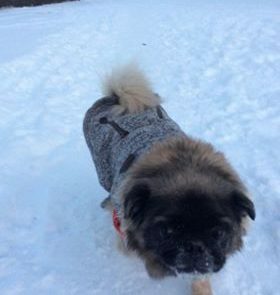 When we introduced you to Effie a few weeks ago, we were preparing for her dental, which we knew would be extensive. She now has 3 teeth left. However, she feels like a million bucks, now that all that infection is out of her system, her personality shines. 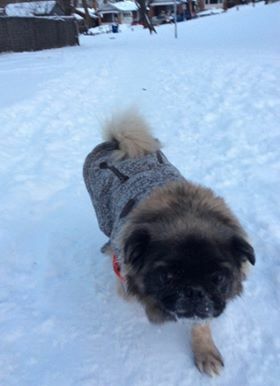 Effie also has dry eyes, so she will require lubricating eye drops (inexpensive) for the balance of her life to ensure she remains as comfortable as she is today. Her personality is as delicious as she looks. 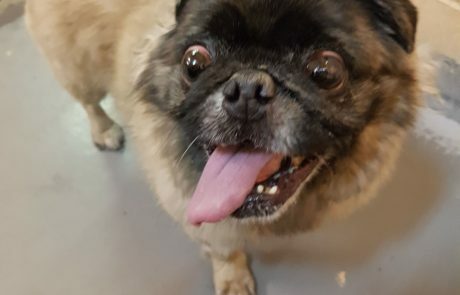 Effie is an incredibly spunky little 8 year old who is wonderful to all people and other dogs, she snorts, she gurgles, and you just want to smooch the hell out of her face. 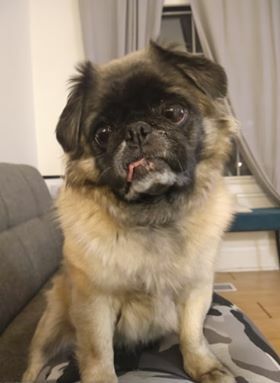 Please contact her adoption coordinator, Nicole, at adopt@teamdogrescue.ca if you want to adopt the most ridiculously deliciously cute dog you have ever come across. 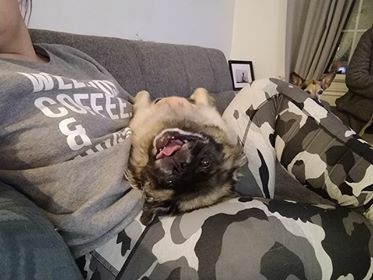 You have no idea the joy this dog will bring you, but your about to find out.